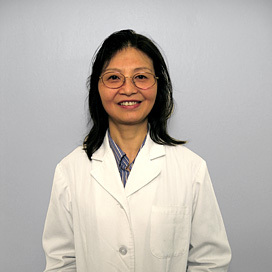 Dr. Ming Zeng has been a medical doctor and acupuncturist since 1982, practicing both Chinese and Western medicine. She has been practicing Traditional Chinese Medicine for more than 30 years; more than two decades of that in the United States. Her practice includes Chinese Acupuncture and Chinese Herbology. "Dr. Ming" as she is fondly called by her patients, has a long and distinguished medical career. Prior to coming to New York, she was the Director and Chief Attending Physician of the Department of Internal Medicine at Beijing Capital International Airport Hospital, one of China's most distinguished medical facilities. Since 2008, Dr. Ming has been a member of the faculty at the NYU School of Medicine where she treats patients and lectures to medical students. Dr. Ming also has her own clinic where she sees patients six days a week on Park Avenue in New York City. 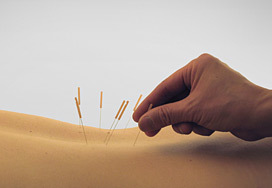 Acupuncture is one of the keystones of Traditional Chinese Medicine (TCM), a 5,000 year old approach to medicine which is as valid today as it was five millennium ago. The oldest medical text book in the world, 4,700 years old, describes acupuncture and the theory behind it. 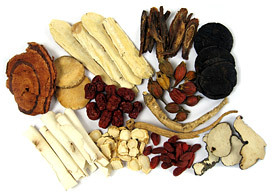 Traditional Chinese Medicine (TCM) has been developing over 5,000 years. The underlying principles of TCM relate to balancing any disturbances in the individual's flow of energy throughout the body. This energy flow, or Qi (pronounced "chee"), as it is called in Chinese, controls the mental and physical health of the individual. When you phone Dr. Ming for an appointment, you won't get an answering service or a nurse - you get Dr. Ming, herself. She can generally see you within 24-48 hours, if not the same day. As you enter her Murray Hill clinic on a quiet street on the first floor of a comfortable building you immediately sense the clean and comfortable setting. Dr. Ming warmly welcomes each and every patient personally. She regards her patients as her friends and treats them with care and respect. Copyright © 2006 Ming Health. All rights reserved.